New York enforces reasonable employee agreements not to compete. California does not. This article discusses the nettlesome but common situation where a New York employer has employees who work in a different state. While the issue is not limited to New York and California, the laws of New York and California are illustrative. Both jurisdictions have large populations and fairly well-developed laws. As importantly, the laws of these jurisdictions provide a sharp contrast. What happens when a New York company employs personnel in California? Are the employees subject to the law in New York or the law in California? The answer is surprisingly uncertain. Even where parties have agreed to apply New York law, a New York court may apply that law and enforce restrictions while a California court, under those same circumstances, may disregard New York law and invalidate the restrictions as against its strong public policy. The unsurprising result is that, in recent years, California employees and New York employers have engaged in expensive races to the courthouse based on the perception that by being first to court they increase their likelihood of success. This perception unfortunately is supported by some case law in both jurisdictions. As explained below, including an exclusive forum selection clause in a non-compete agreement reduces the uncertainty associated with fact-intensive choice-of-law issues that also implicate state public policy concerns. Exclusive forum selection clauses are given great weight by courts in New York and California. New York and California laws applicable to non-compete agreements provide a stark contrast. New York's law in this area derives from and has continued to evolve in accordance with the common law. In contrast, California's law is codified by statute at California Business & Professional code §16600. New York disfavors agreements that restrict an employee's ability to compete against his former employer because "powerful considerations of public policy...militate against sanctioning the loss of a man's livelihood." Yet, such agreements may be enforced if they pass a test of "reasonableness," meaning they are (1) no greater than required to protect the employer's legitimate interests, (2) not unduly harsh on the employee and (3) not injurious to the public. Post-employment restrictions on competition typically will be scrutinized for reasonableness by all courts in New York. In contrast, California's Legislature rejected the prior common law test of reasonableness that exists in New York. Instead, California has banned almost all restrictive covenants pursuant to Cal. Bus. & Prof. Code §16600. The statute provides that, "[e]xcept as provided in this chapter, every contract by which anyone is restrained from engaging in a lawful profession, trade, or business of any kind is to that extent void." The Supreme Court of California has rejected efforts by businesses to enforce "narrowly drawn" non-competition agreements because this statute evinces California's powerful interest in "open competition and employee mobility." While there is not complete uniformity, courts in New York are likely to honor a New York choice-of-law clause while courts in California are likely to reject such a clause based on public policy. [B]ased upon New York's policy of enforcing restrictive covenants that are reasonable in time and scope and given New York's interest in having a predictable body of law that companies can rely on when employing individuals who will have close contact with trade secrets and confidential information, it is concluded that California's interest is not "materially greater" than New York's. The New York court in Estee Lauder recognized a New York interest in having New York law apply to New York employers despite California's strong and contrary public policy favoring employee mobility. Under the same circumstance, a California court likely would have favored California law. In Frame v. Merrill Lynch, the Court of Appeals refused to apply a New York choice-of-law clause in a case involving a non-compete agreement. The court specifically held, " an agreement designating applicable law will not be given effect if it would violate a strong California public policy," such as §16600. And, a California federal court recently acknowledged the "trend among California courts of finding that §16600 represents a fundamental public policy interest in California and that it should override contractual choice-of-law provisions at least with respect to such restrictive covenants." New York employers face a conundrum. Their interest is to have a uniform law apply to all their employees but also not to rack up legal costs because of conflicting state laws. Enter an age-old tool, the forum selection clause. An exclusive forum selection clause permits the parties to choose in advance the venue where future disputes will be heard. Such clauses have the imprimatur of the Supreme Court, which has held that "a valid forum-selection clause [should be] given controlling weight in all but the most exceptional cases." Unlike the situation where a California court is asked to enforce a non-compete agreement based on foreign law, a California court faced with a forum selection clause does not have to consider whether foreign law violates any internal California policy. This is because the California court will not itself be applying that foreign law, and cannot know what law the foreign court ultimately will apply. In some situations a New York court will apply California law where there are no significant contacts with New York or where California has a materially greater interest in the parties' dispute. Because forum selection clauses do not raise the same policy considerations as choice-of-law clauses, California courts have shown a willingness to transfer the venue of an action based on an exclusive forum selection clause where the same court might have rejected a choice-of-law clause because it violates California public policy. Indeed, California's public policy is not a factor in the analysis of forum selection clauses. In Britvan v. Cantor Fitzgerald, a California district court rejected an employee's argument that the court should take California's public policy into account when deciding whether to transfer venue based on a forum selection clause. The court refused: "[t]he problem with plaintiff's argument [that the forum selection clause violates public policy under §16600] is that it does not challenge the reasonableness of the forum selection clause itself 'only the reasonableness of its effect.' The court transferred venue. Non-compete agreements are an important tool used by New York employers to protect against the misappropriation of confidential information, intellectual property and customers. Yet, as to out-of-state employees, non-compete agreements raises unique issues of validity and enforceability that undermine these types of agreements. These issues of validity and enforceability create additional risks of uncertainty. 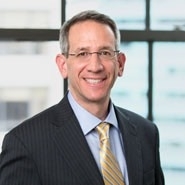 By entering into agreements with employees in advance to have disputes resolved exclusively in New York, in court or in arbitration, these risks of validity, enforceability and uncertainty are reduced. Employers are well-advised to include exclusive forum selection clauses in their non-compete agreements. BDO Seidman v. Hirshberg, 93 N.Y.2d 382, 388-89 (1999). Cal. Bus. & Prof. Code §16600. The limited exceptions are for sale or dissolution of corporations, partnerships and limited liability companies. Edwards v. Arthur Anderson, 44 Cal. 4th 937, 946, 189 P.3d 285, 291 (2008). Id. at 173-74 (emphasis added); see also Ayco v. Frisch, 2013 U.S. Dist LEXIS 7061 (N.D.N.Y. Jan. 17, 2013) (applying New York law to employees who worked in California based on choice-of-law clause because New York had "substantial relationship" to the parties). 20 Cal. App. 3d 668 (Cal. Ct. App. 1971) (emphasis added). Stryker Sales v. Zimmer Biomet, 2017 U.S. Dist. LEXIS 14145, *23 (E.D. Cal. Jan. 31, 2017) (emphasis added). Atl. Marine Constr. v. U.S. Dist. Court, 134 S. Ct. 568, 581 (2013) (internal citation and quotation marks omitted). TGG Ultimate Holdings v. Hollett, 2016 U.S. Dist. LEXIS 177613 (S.D.N.Y. Dec. 12, 2016). 2016 U.S. Dist. LEXIS 93184, *8-9 (C.D. Cal. July 18, 2016). See also Marcotte v. MicrosSys., 2014 U.S. Dist LEXIS 128054 (N.D. Cal. Sept. 11, 2014) ("[A] party challenging enforcement of a forum selection clause may not base its challenge on choice of law analysis").